Have you seen the viral video of 6-year-old Loren Patterson in Dickson, Tennessee, as she rocks out in the church choir? The video was shared on facebook by Loren's mom, Jennifer Patterson, and it has been shared by hundreds of thousands of people on Facebook. When you watch the video, you can't help but feel joyful and encouraged as you watch Loren's passion and enthusiasm come through as she performs. That little girl is having a good time! 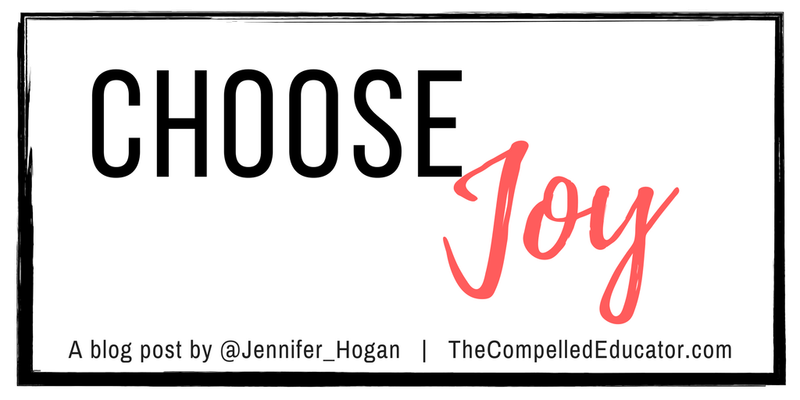 It got me reflecting on the question, "Do others see that kind of joy in me?" What if every staff member in our school displayed this kind of joy? One of my 3 words for 2018 is LIFT. I want to lift up others as much as possible throughout the year. To accomplish this, I must lift up myself first, and have a joyous heart. Finding joy, or at least hope, in every situation is part of who I am. And today, as I watch sweet Loren Patterson, I'm motivated to be sure that when I choose joy, I make sure that my actions show others that I am joyful. If you found this post to be inspiring, I hope that you will share it and spread the joy!